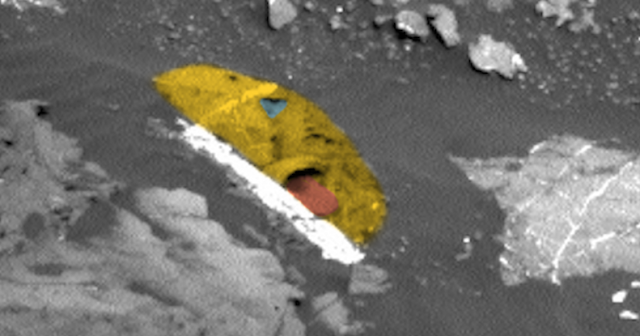 UFO SIGHTINGS DAILY: Alien Faces Are Proof Of Tiny Species Near Mars Curiosity Rover, Dec 2015, UFO Sighting News. 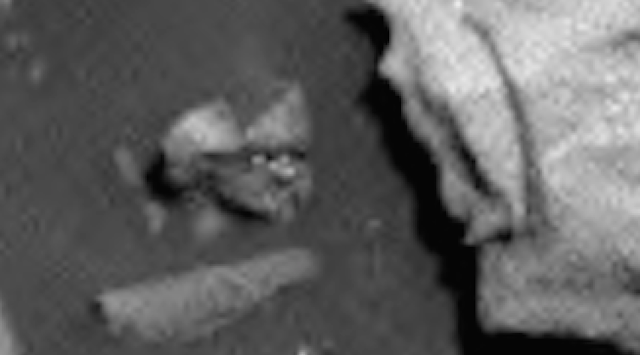 Alien Faces Are Proof Of Tiny Species Near Mars Curiosity Rover, Dec 2015, UFO Sighting News. I found a face, then another and another. The first face is large and shows both sides of it. The second face is longer and only shows half of it, other half is buried. 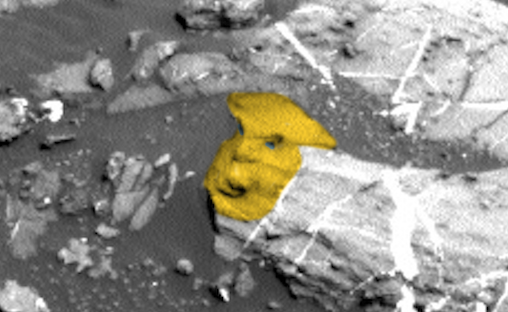 The third face and most unique of them all is very clear and is wearing a hat. You can make out its two eyes, nose, chin and even its both ears. Also know, these faces are larger than the faces of the living species that once inhabited this planet. Yes, I said this face is small, about 2-4 inches across (photo below) and the real living species that made it have a head smaller than that. Its only logical that they made larger sculptures to stand out more. The first face just stood out on the first second. The next took a minute and the last about 2 minutes later. 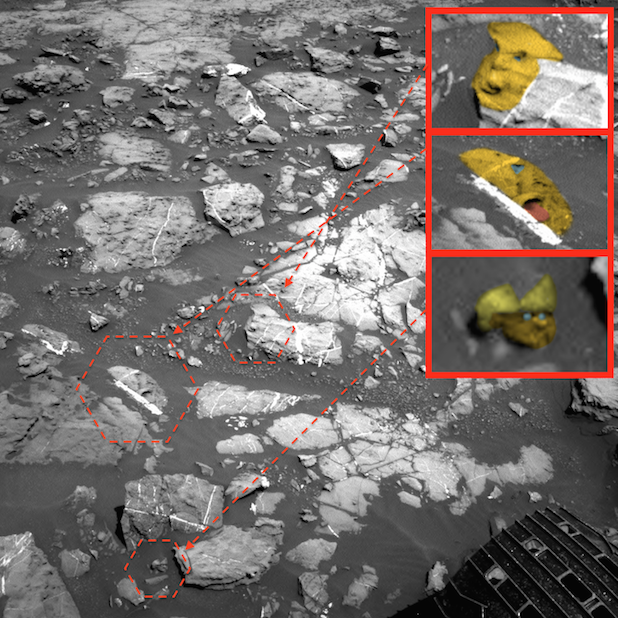 Its not a time consuming thing finding alien artifacts. Anyone can do it, and you get faster and better after you find hundreds...or thousands of anomalies. 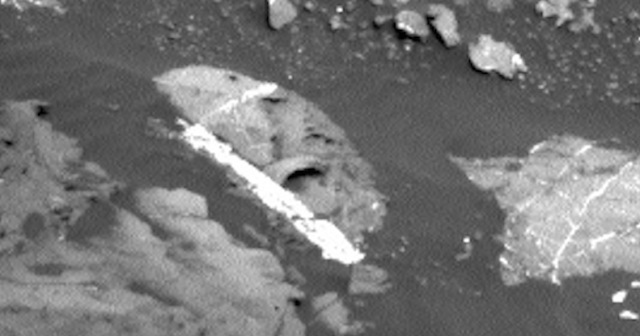 You might be the one to find the Holy Grail of Mars artifacts...the one that causes full alien disclosure around the world. It exists, but do you have what it takes to find it? 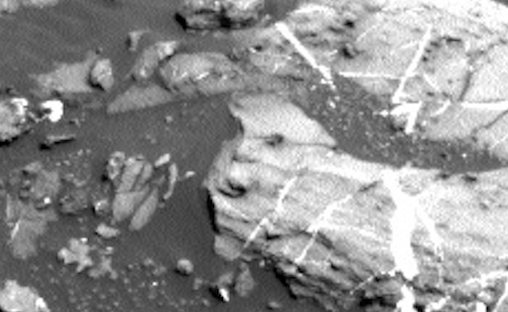 This is the smallest of the faces, about 2-4 inches across.